First of all, this is the most awkward packaging for shipping one single book ever, so thanks for that, unnamed online bookstore. I’ve had packaging like that before and it does seem very awkward. Secondly, oooo… shiny! I hadn’t heard about the foil cover. I shall have to get my hands on a copy. Looking forward to hearing what you think of it! From Booktopia as well, I’m guessing? 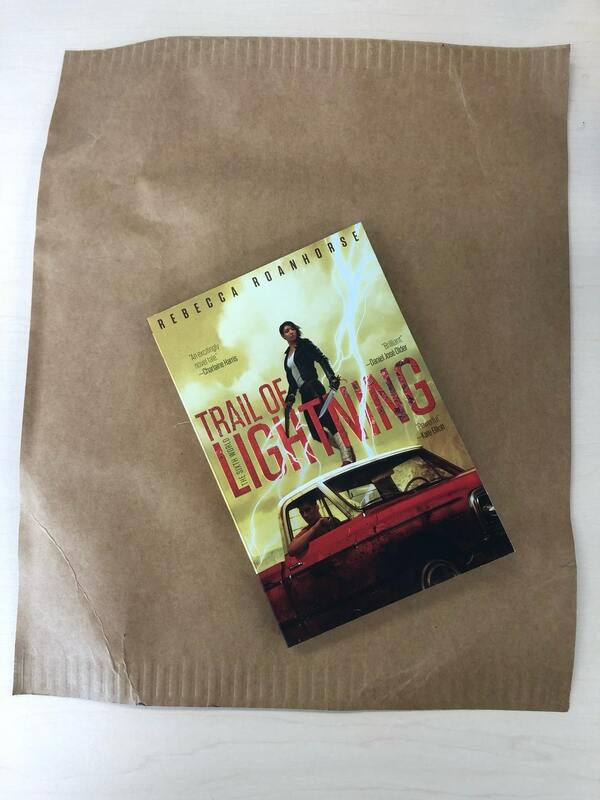 I had an order of three books, each of which is being sent separately and each of which, I assume, will arrive in a similarly oversized envelope.